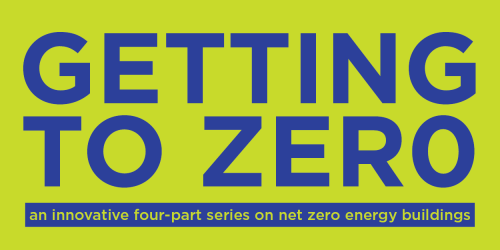 Part two of a four-part series, Getting to Zero’s Session 2: “Integrated Design and Process For Net Zero Energy Buildings” covers the design processes and systems necessary for net zero energy building design. Following sessions in this series will delve into construction and project hand-off; and ownership and long-term operations. All sessions will explore the cross-cutting themes of identifying and overcoming barriers to change, and are intended to provide continued technical “how to” content, as well as to address new content related to marketing, financing, developing, and operating net zero energy buildings. Each session will use a combination of lectures and case-study exploration, and will conclude with takeaways, tools, and resources pertaining to each session focus. Define key design processes, renewable energy systems, and energy performance modeling for integrated design in net zero energy buildings. Design for current codes for building envelopes in the Pacific Northwest and examine their impact on the AEC industry and working with clients. Participate in essential A/C/E processes, including budgeting, assessing technical and business realities, forecasting, and using common design strategies to help cue occupant behavior. Identify lessons learned from a net zero energy project case study that used an integrated design approach.